Matcha Match 1’s sweet was a raspberry muffin from Muffin Break. 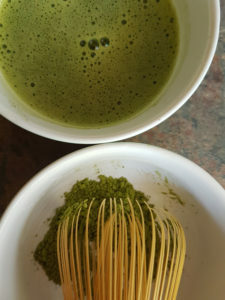 This is ITO EN’s basic matcha, which it sells to cafes etc to make lattes and include in other dishes. It’s a step above other ‘cooking grade’ matchas and makes an affordable everyday matcha fix. Matcha Gold frothed well early in the whisking process and the bubbles lasted until the last sip. After an initial touch of green tea astringency the umami flavour slipped into the middle note, rounding out the mouth with a full and creamy texture. File this matcha purchase as a curious impulse buy at a Unyso store. Grade 4 is the lowest of the Asahina drinking range and the price reflects that. Asahina Maccha 4 stubbornly refused to froth and I held very low expectations of the drinking experience. However, the flavour was earthy and green, surprisingly not too far off Matcha Gold. Although it had a bite of bitterness at the finish it was much less painful than I anticipated. The liquor was quite thin, though, on account of its lack of frothability. Why won’t you froth, Asahina?! 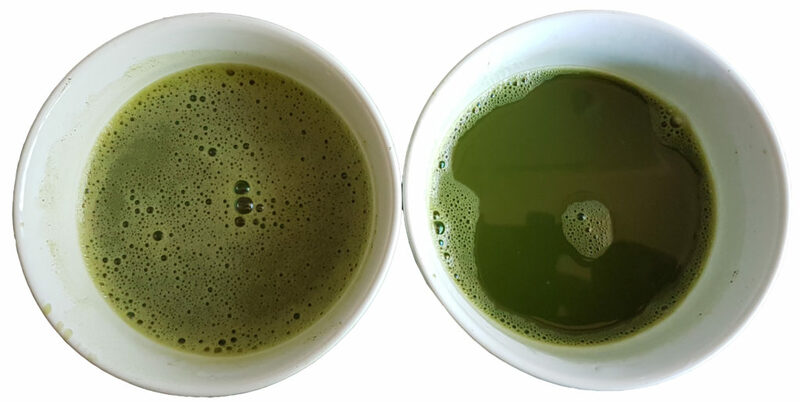 ITO EN’s Matcha Gold wins this match for its all-round superiority in froth, taste and texture. 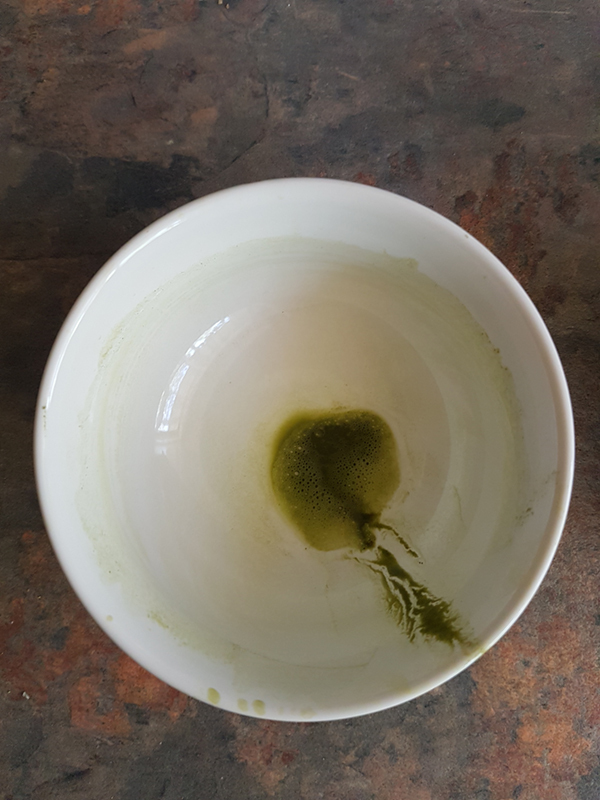 Although Asahina Maccha didn’t froth as well, its flavour was almost equivalent to Matcha Gold, so don’t let frothability deceive you on taste.